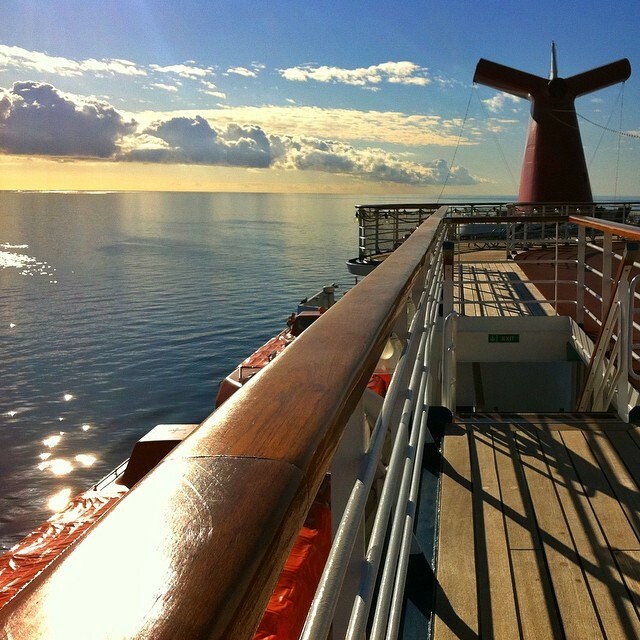 Huge news came out of Port of Tampa last week - Carnival Cruise Line had it's first-ever cruise to Cuba. This ship sailed on June 29, 2017 on a four-day sailing with an overnight port of call in Havana!!! Carnival Paradise will have a variety of four and five day cruises from Tampa through May 3, 2018. My friend Heather and I were invited to a Cuban inspired bon voyage reception to kick off the inaugural sailing. We feasted on delicious Cuban food and libations while listening to live Cuban music. 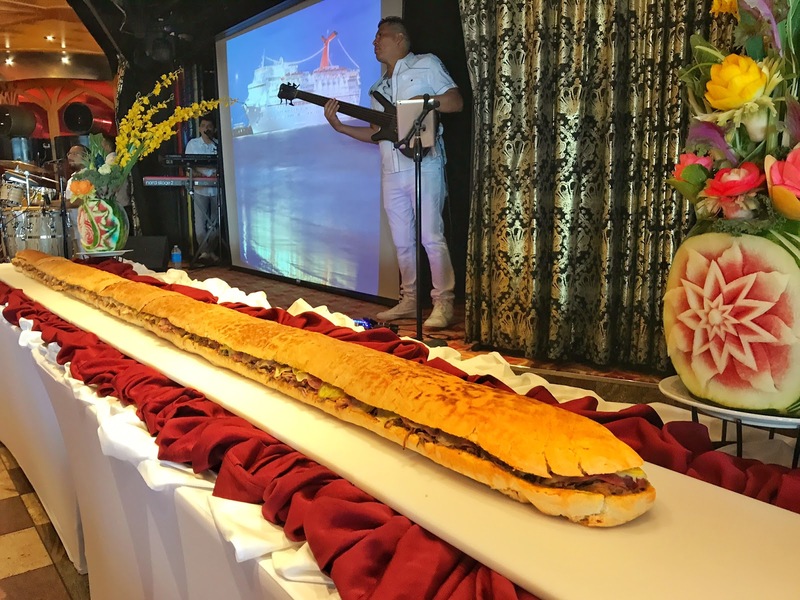 To kick off the Cuban festivities, Carnival Cruise Line created the “World’s Largest Cuban Sandwich at Sea.” This 10-foot-long sandwich contained the traditional ingredients of all Cuban sandwiches: a light white bread, five pounds of sliced ham, 50 pounds of marinated and roasted pork, six pounds of Swiss cheese, one gallon of dill pickles and mustard and mayonnaise. 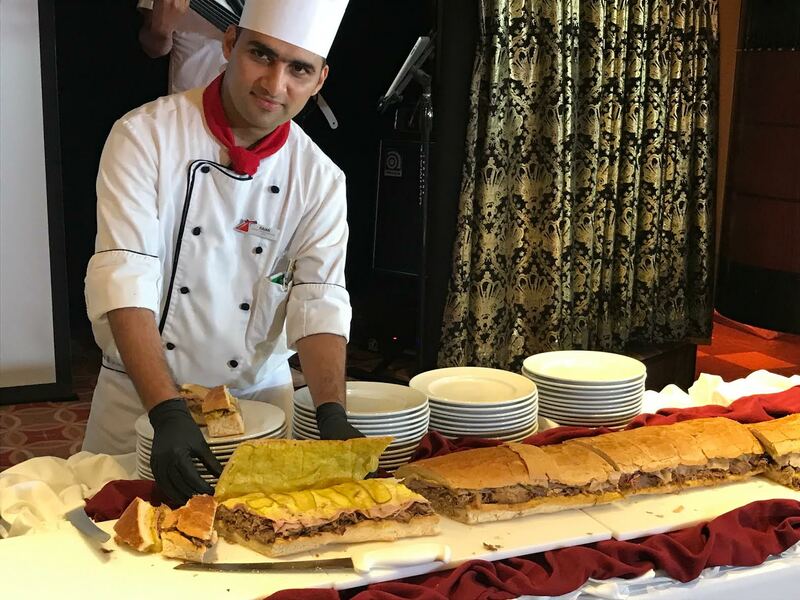 This sandwich had a twist - half of the sandwich included 8lb of Genoa Salami which made it an authentic Tampa Cuban sandwich. The other half was the Miami version. As long as I've lived in Tampa, there has been a feud between which was authentic - Tampa won. 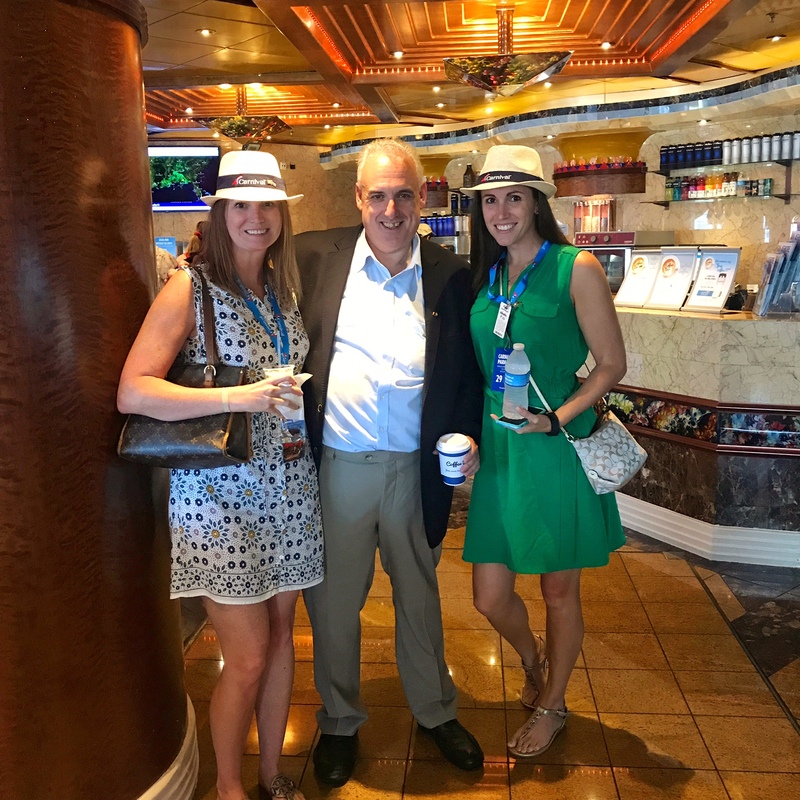 Carnival's Senior Cruise Director John Heald even made us do a Cuban dance. At the Bon Voyage party, Carnival donated $25,000 to Tampa’s Ybor City Museum Society. I was thrilled to hear this, being a former resident of Ybor City. It's a great organization that is committed to preserve, promote and celebrate the unique cultural heritage of Ybor City, one of only three National Historic Landmark Districts in Florida. The Cuba sailing series depart on: July 13, Aug. 14, 24 and 28, Sept. 7, 21 and 25, Oct. 5, 9 and 19, 2017, May 3, 2018. Five-day voyages add a stop in either Cozumel, Mexico; or Key West, Florida. 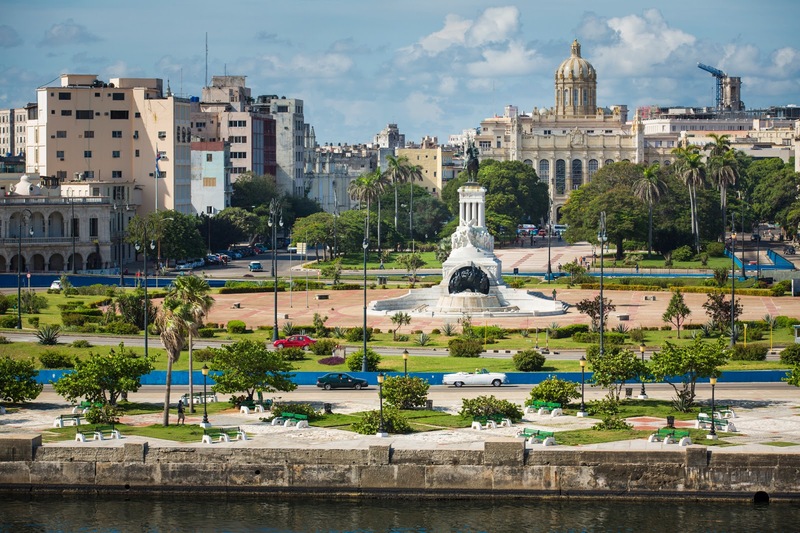 In addition to experiencing Havana’s colorful history and culture, guests sailing aboard Carnival Paradise can enjoy an array of amenities and a full schedule of daytime activities and nighttime entertainment. The ship features a 12,000-square-foot Spa Carnival health and wellness facility and an exclusive Serenity adults-only retreat. Popular family-friendly programming includes Seuss at Sea in partnership with Dr. Seuss Enterprises featuring the Green Eggs and Ham Breakfast with The Cat in the Hat and Friends and fun, supervised activities for kids in three age groups. The ship also boasts four swimming pools and a 115-foot-long water slide. I think it's time for me to book another cruise. Cuba anyone?